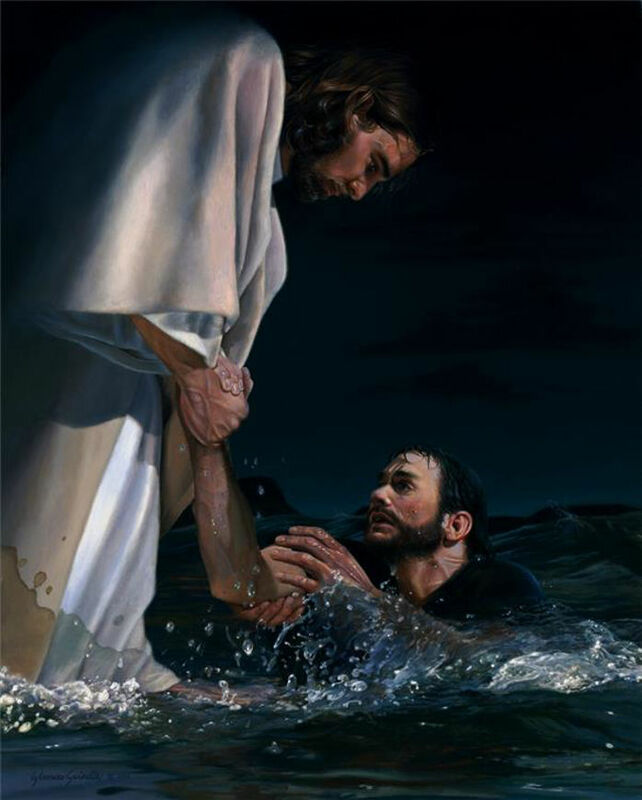 When Peter saw the Savior walking on the water he cried out, "Lord…bid me come unto thee. "<br><br> "Come." was all He said.<br><br>Filled with faith, Peter stepped from the safety of the boat on to the stormy sea. But as the winds picked up and the waves grew stronger Peter’s faith turned to fear. As he began to sink, Peter cried out, "Lord, save me. "<br><br>Two thousand years later, Christ is still calling to us. As we step from the safety of self-reliance on to the stormy seas of discipleship, like Peter we pray, "Lord, save me. "<br><br>With perfect calmness He stills the winds of our doubt, reaches down from heaven and saves us.